Your choice of English Toffee, Angel Bites, or Heavenly Bites available in half-pound and pound boxes. Our five best-selling candies all in one box - English Toffee, Angel Bites, Heavenly Bits, Peanut Brittle, and Creamy Pralines. Available in a small and large size. 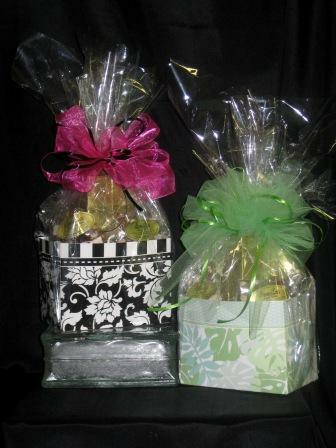 Two beautiful gift boxes tied together and filled with our best selling candies: English Toffee, Angel Bites, Heavenly Bits, Peanut Brittle, Nut Clusters, and Cheese Straws. 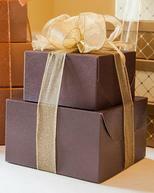 Three graduated gift boxes tied with an elegant bow. 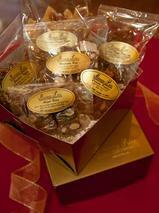 Perfect for the "chocoholic"- English Toffee, Angel Bites, Heavenly Bits, Peanut Brittle, Nut Clusters and Cheese Straws. 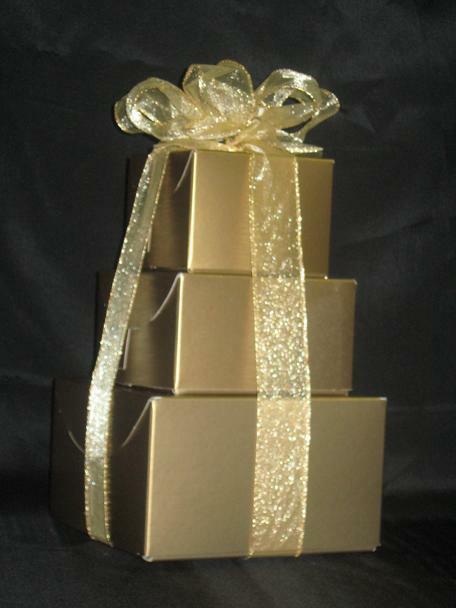 Four beautifully stacked boxes filled with our favorite candies: English Toffee, Angel Bites, Heavenly Bits, Peanut Brittle, Nut Clusters, Chewy Pralines and Toffee Popcorn. The perfect gift for all occasions- Thank You, Get Well, Happy Birthday, New Baby, or Just Because - filled with our top five favorites!